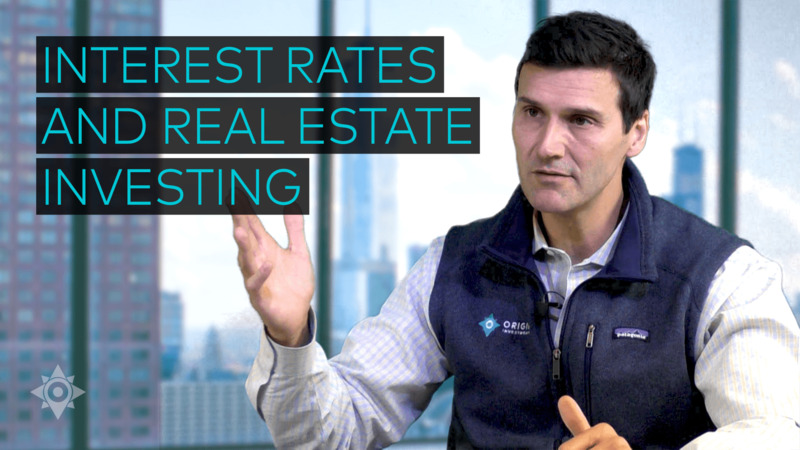 Watch Origin Principal David Scherer explain how real estate investments are affected by interest rates. Origin Investments is a top-ranked real estate firm committed to educating investors on private equity commercial real estate. Should I Keep My Money in Cash or Securities While Waiting for a Private Equity Capital Call? The information on the website includes historic results of certain investments made by Origin; however, past performance is no guarantee of future results. Historic returns may not reflect actual future performance, may not reflect potential deductions for fees which may reduce actual realized returns. Investors are advised that any investment with Origin may experience different results from those shown. Projected IRR and multiples are based upon the anticipated redemption or maturity date. All investments offered by Origin involve risk and may result in loss. Some of the statements contained on the Origin website are forward-looking statements. You should not rely upon forward-looking statements as predictions of future events. These statements involve known and unknown risks, uncertainties, and other factors that may cause an investment’s actual results, levels of activity, performance, or achievements to be materially and adversely different from those expressed or implied by these forward-looking statements. Forward-looking statements may be identified by terminology such as “may,” “will,” “should,” “expects,” “plans,” “anticipates,” “believes,” “targeted,” “projected,” “underwritten,” “estimates,” “predicts,” “potential,” or “continue” or the negative of these terms or other comparable terminology. Although Origin believes that the expectations reflected in the forward-looking statements are reasonable, guarantees of future results, levels of activity, performance or achievements cannot be made. Moreover, neither Origin nor any other person or entity assumes responsibility for the accuracy and completeness of forward-looking statements. Neither Origin nor any other person or entity is under any duty to update any of the forward-looking statements to conform them to actual results. The information on this website contains a preliminary summary of the purpose and principal business terms of the investments offered by Origin. This summary does not purport to be complete and is qualified in its entirety by reference to the more detailed discussion contained in the actual text of the definitive documentation regarding such investment. Further, the overviews presented on the Origin website do not constitute an offer to sell or a solicitation of an offer to make an investment herein. No such offer or solicitation will be made prior to the delivery of definitive documentation relating to such investment. The information on this website does not constitute an offer of, or the solicitation of an offer to buy or subscribe for, any securities to any person in any jurisdiction to whom or in which such offer or solicitation is unlawful. Before making an investment decision with respect to any offering, potential investors are advised to carefully read the related subscription and offering memorandum documents and to consult with their tax, legal and financial advisors. Origin does not give investment advice or recommendations regarding any offering posted on the website. Your guide is on its way to your inbox. Please check your email. Fill out the form below to indicate your interest in this investment opportunity. What investment amount are you considering? *Please note that this amount is non-binding and does not guarantee availability. Thank you for your indication of interest in our upcoming QOZ Fund. Review our open investment opportunities and receive our educational newsletter. How did you hear about Origin? Yes, I would like to schedule a brief introductory call to learn more about Origin's IncomePlus Fund. Please select all that apply. You will not be asked to provide accreditation verification until you invest. Net Worth: I have individual net worth, or joint net worth with my spouse, that exceeds $1 millon (excluding the value of my primary residence). Personal Income: I have individual income exceeding $200,000 in each of the past two years and expect to reach the same this year. Joint Income: l have combined income with my spouse exceeding $300,000 in each of the past two years and expect to reach the same this year. Business: I invest on behalf of a business or investment company with more than $5 million in assets and/or all the equity owners are accredited. None: I do not meet any of the above criteria but would still like to peruse Origin's offerings. I understand I cannot invest until I become accredited. You have successfully created an Origin Investments account. Please check your email to verify your account and login. If you did not receive an email, please check your junk folder or click here to resend it. Thank you for requesting more information about our Growth Funds. Please check your email inbox to learn more. Thank you for your interest in Origin’s Income Fund overview. Please check your email inbox to download your copy.